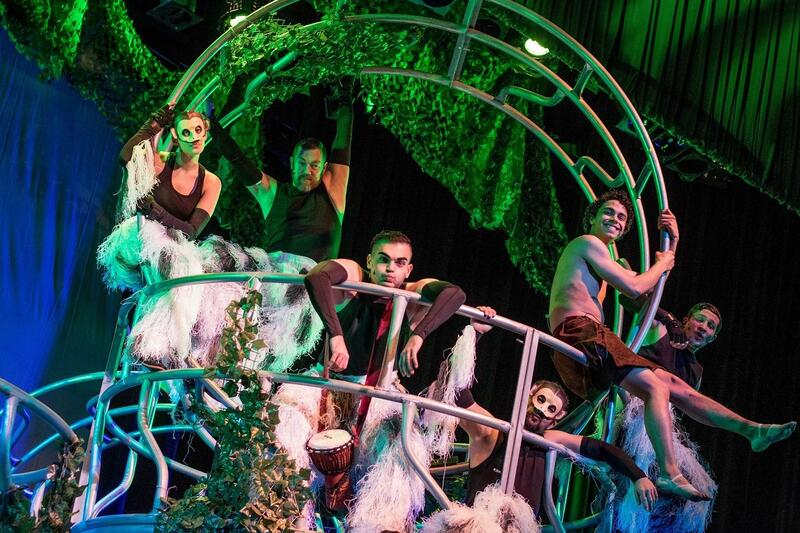 The delightful JUNGLE BOOK cast directed by Chris Kelly at Theatre of Youth makes full use of their "jungle gym" rotating set, on stage through April 7. MILLION DOLLAR QUARTET, musical presented by Musicalfare Theatre, directed by Randall Kramer, Andrew J. Reimers, Joseph Donohue III, Brandon Barry, Nick Stevens, Jeffrey Coyle, Arianne Davidow. Through Mar 24, Thu at 7:30, Fri & Sat at 8, Sun at 2, plus Mar 30 at 8 & Mar 31 at 2. Shea's 710 Theatre, 710 Main St. (1-800-745-3000). THE OCCUPANT, play by Edward Albee presented by Burchfield Penney Art Center in collaboration with SuiteCase Productions, starring Christina Rausa, Daniel Lendzian. Mar 29 & 30 at 8. Art Center Tower Auditorium, 1300 Elmwood Ave. (878-6011). Shea's revealed its 2019-2020 season along with the Smith Theatre and Shea's 710, both of which have some shows with substance lined up. For good theater right now, folks are talking about "ABSOLUTE BRIGHTNESS" at the Alleyway, "ANGELS IN AMERICA" at the Smith, BETWEEN RIVERSIDE AND CRAZY at Road Less Traveled. Tonight, 1984 opens at the Kav, and SIDEWALK STAGEPLAY at the Robeson.